The Wet Filter is a foam filter for wet dry vacuum cleaners that has a durable foam outer layer with structural resin core designed to add protection for your vac during high volume liquid pick-up. The foam filters material is washable and should be rinsed thoroughly after each use. 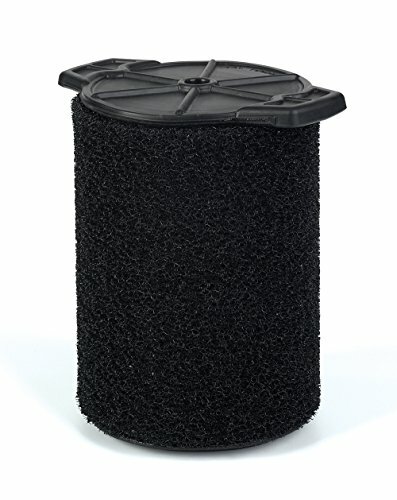 This is not a replacement filter for your vac, but an optional one for use with wet pick-up. Fits: WORKSHOP 5-16 gallon shop vacuums except the WS0500VA. Foam filter for wet dry vacuum cleaner cleans easily with water.